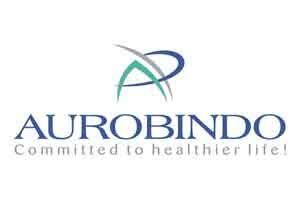 New Delhi: Drug firm Aurobindo Pharma has received final approval from USFDA to manufacture and market its Tranexamic acid injection and Paricalcitol capsules in the American market. The company plans to launch the Tranexamic acid injection by the end of this fiscal and Paricalcitol capsules in the first quarter of the next fiscal. “The company has received final approval from the US Food and Drug Administration (USFDA) to manufacture and market Tranexamic acid injection, (100 mg/ml) 1000 mg/10 ml single-dose vial,” Aurobindo Pharma said in a statement. The approved abbreviated new drug application (ANDA) is generic version of Pharmacia and Upjohn Company’s Cyklokapron injection in the strength of 100 mg/ml, it added. “The approved product has an estimated market size of USD 50 million for the 12 months ended November 2015, according to IMS,” it said. Tranexamic acid injection is used in the treatment of short-term control of bleeding in people suffering from hemophilia, including dental extraction procedures. This product is on the WHO list of essential medicines, it added. The company has also received approval for its Paricalcitol capsules in the strengths of 1 mcg, 2 mcg and 4 mcg. The product is a generic version of Abbvie’s Zemplar capsules in same strengths. “The approved product has an estimated market size of USD 38 million for the 12 months ending November 2015, according to IMS,” Aurobindo Pharma said. These capsules are indicated for the prevention and treatment of secondary hyperparathyroidism associated with chronic kidney disease.